Welcome to the home of Castelli world-class custom cycling kit. Castelli is dedicated to making the fastest cycling clothing in the world and our Servizio Corse apparel is made using the same fabrics, components and cut you'll see on the shoulders of Team Sky riders. That means you could be wearing these racing-developed, Tour-winning pieces in your own team or club colours. If you're serious about your cycling, and serious about comfort and performance, the choice is simple. Castelli offers a wide range of garments for customisation through Servizio Corse – each worn by pros, so you know you're getting an unfair advantage. Find out more about how the process works below. If you're interested in finding out more about the Castelli Servizio Corse programme, drop us a line at info@serviziocorse.co.uk and we'll send you a full information pack with everything you need to know to get started. When you're happy to proceed, we'll discuss your design ideas and order requirements. We'll need to know the type of garments you are interested in and a rough idea of the quantities being considered. We provide a order form in the information pack for this. Once you know the garments you'd like for your team, club or personal collection, we get to the fun part – designing. You might already have club kit you want to update, some ideas down on paper or perhaps you want us to provide the inspiration – you can have as much input as you'd like on the final design. Things to bear in mind when sketching ideas or writing out notes are the basic design of the kit – panels, stripes and the like; colours – please use Pantone Coated references where possible; and the position of logos – we'll need these in a Vector format so they'll look great on your kit. 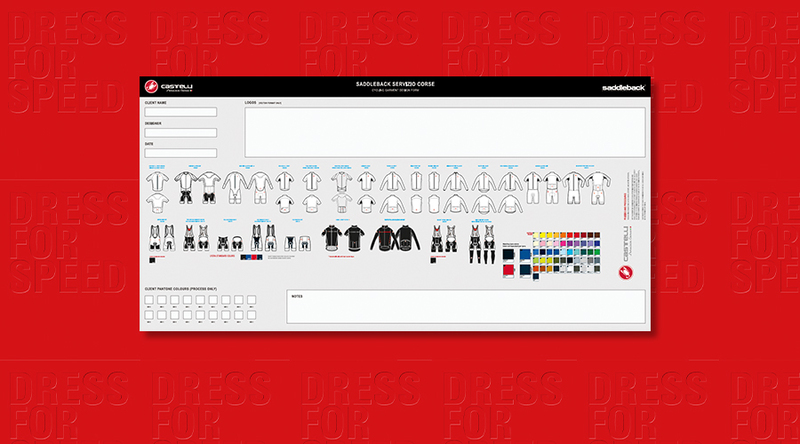 Our kit design service is completely free for orders over £4,000. A charge of up to £200 is applicable to orders under this threshold (the exact figure will be notified in advance based on your initial order quantities) for the creation/set-up of new designs. We'll develop your design and send you a proof mounted on our templates for you to approve. This is the point where you can request amendments to make sure you're totally happy with the final design. Once you're ready to go, we'll ask you to confirm your final order. 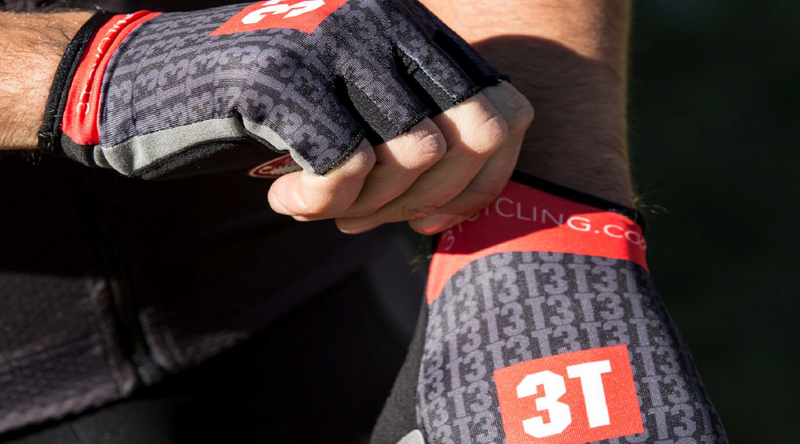 There's a size chart included in the information pack, but we also recommend you refer to our comprehensive guide to Castelli sizing guide here, which will help you choose the correct sizes for your team or club. Servizio Corse has access to extra sizes compared to the regular Castelli catalogue: jerseys for men and women go down to XXS and up to 2XL (women) and 5XL (men). Please the size guide below for these options. Subject to stock, samples are available for evaluation purposes – credit card details may be required as security when requesting samples. Once you've approved your design and confirmed your order we'll send you a request for a 50% deposit. The request will be accompanied by a Sales Order detailing everything you have chosen and the prices agreed. Full payment details are also provided. We can take payments by credit or debit card, BACS or cheque. Your order will be submitted to the factory for production once we have received your deposit. Production takes eight to 10 weeks from when your order is submitted to the factory. No changes can be made to your order after this point. At off-peak times, production can be faster. We can also arrange for kit to be fast tracked for special events by prior arrangement. This service is subject to available capacity at Castelli's production facilities. Our factory provides regular shipping updates and we'll pass these on should the delivery date for your order change. Once your kit is ready and leaving Italy, we'll request payment of your remaining balance. This request is sent to you as your kit leaves Italy. Transit to the UK normally takes five working days. You can also use this opportunity to supply an alternative delivery address (we can only ship to UK addresses). Once final payment has been received, your kit will be dispatched to you via a next-day, signed-for delivery service, which is included in the price of your kit. If you wish to receive your kit as soon as possible, it can be sent directly to you from Italy by prior arrangement – though the cost of this carriage will be at your expense. 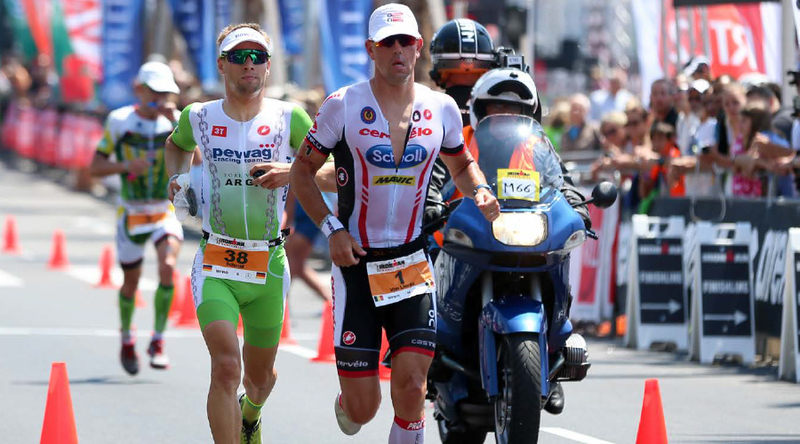 Servizio Corse allows you to choose from a selection of Castelli ranges, covering you for everything from road racing gear to tri suits, protective items and accessories to finish off your pro-team look. 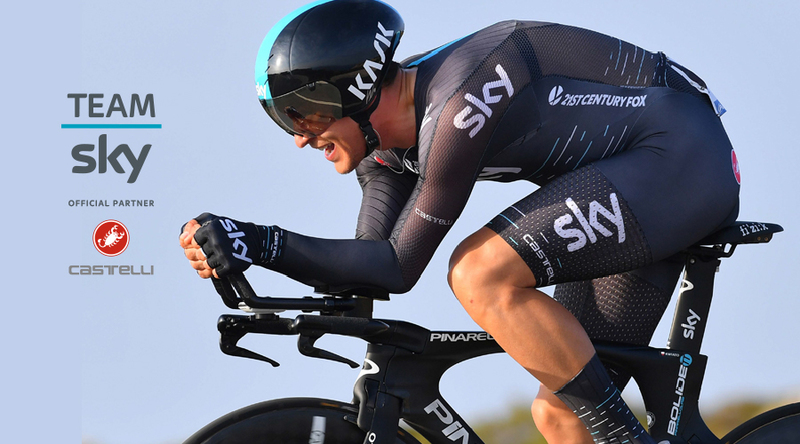 Manufactured by the highly-skilled professionals who make kit for the pro peloton, our Pro Issue kit option uses the same fabrics, components and fit that Team Sky riders enjoy. Even the pro's dip into this collection for some pieces. The Team Issue collection offers a more relaxed fit, ideal for the club rider. 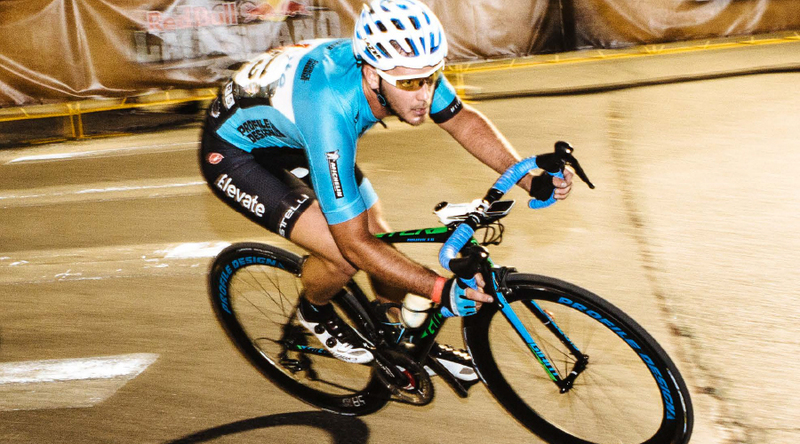 The garments use the same fabrics and tech as Pro Issue, just with a little more room. In the Free Triathlon range, 'free' refers to freedom of movement and free passage through the water and air. These are the pieces worn by all Castelli's sponsored triathletes including multiple Ironman World Champions. 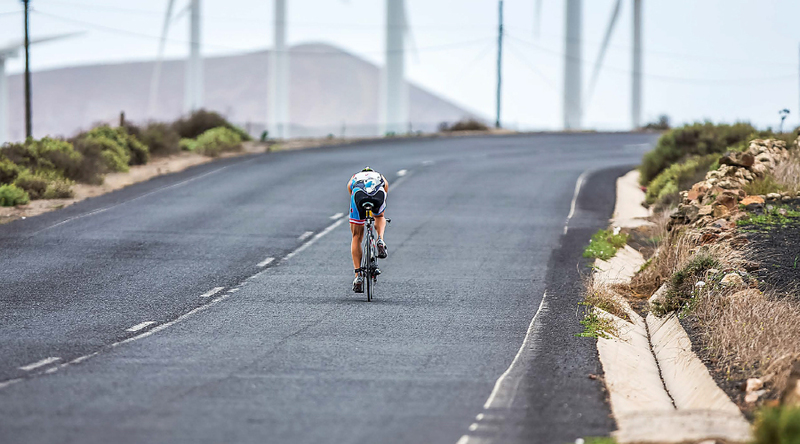 Our Core tri collection takes our Free range concepts and applies them to less expensive fabrics, giving high performance, style and value for triathlon clubs and teams. What could be more pro than your club rocking up in matching Gabbas? 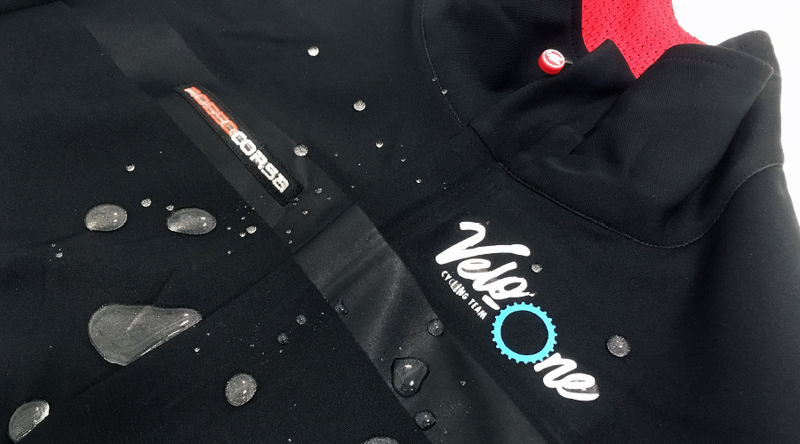 We offer a selection of foul weather and protection apparel for customisation. Complete the pro-team look with matching socks, hats and warmers to make your club or team stand out from the crowd. While we offer a full design service, it's great to have a starting point! Download our custom templates below to start experimenting with colours and designs. Servizio Corse customers can benefit from extra size options for men's and women's jerseys compared to the regular Castelli range. Please see below for these special sizes. 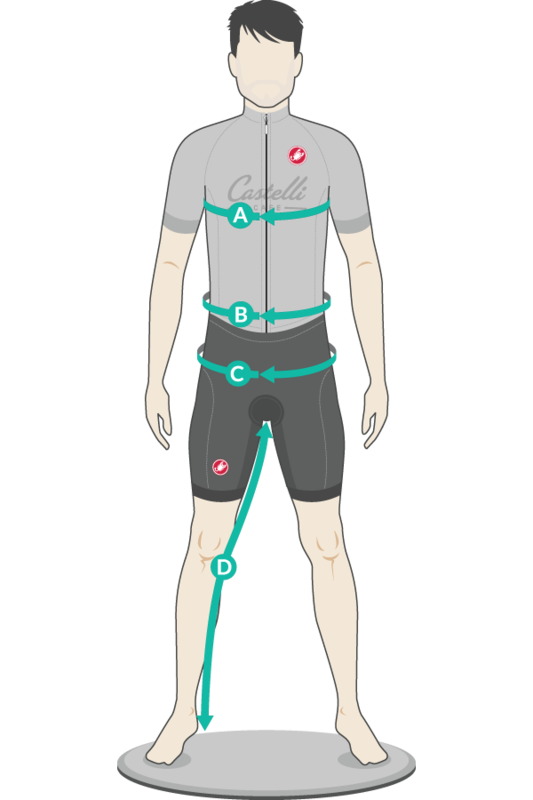 For other garments, please refer to our main Castelli Size Guide. Men's and unisex Castelli sizing is based on your physical measurements and the garment's intended use. Race items are designed to use fabric stretch to achieve a very snug fit; as such physical garment sizes vary within the range. Please don't compare sizing with other manufactures. The sizes shown above are for the maximum size, so someone with a 99cm chest would be a size L. If you have a 101cm chest then you're an XL. Women's Castelli sizing is based on your physical measurements and each garment's intended use. Racier items are designed to use fabric stretch to achieve a very snug fit, as such physical garment sizes may vary within the range. Please do not compare sizing with other manufactures. Please note that sizes shown above represent the maximum size for the garment, so someone with a 88cm bust would be a size M or if you have a 91cm bust you are a size L. You do not need to size up for jackets or vests. The Servizio Corse custom Castelli clothing programme is bound by the following terms and conditions. All sales, returns and enquiries are also bound by our general terms and conditions, so please familiarise yourself with both. Saddleback Ltd (the 'Company') sells the goods listed in its catalogue's ('Goods', which expression shall as the context admits refer to all or any of such Goods) exclusively upon the terms set out below (the 'Terms'). The 'Customer' shall refer to any person, firm, company or other organisation placing an order for any Goods. The placing of an order or acceptance of the Goods is deemed to constitute an agreement to observe and be bound by the Terms and any concession, latitude or waiver that may be or may not have been allowed by the Company at any time shall not prevent the Company subsequently exercising its full rights under the Terms. Castelli Cafe at Saddleback Limited, 12 Apollo Park, Armstrong Way, Yate, Bristol, BS37 5AH, United Kingdom. Orders must be in writing and can be sent by post, fax, e-mail or via the Company's web-sites on-line ordering process. Telephone orders can be accepted, but must be confirmed in writing by post, fax or e-mail. 2.5 If the Customer cancels an order already accepted by the Company then the Company shall be entitled to terminate the contract with immediate effect and to dispose of any goods as it may determine and the Company reserves the right to retain from the Customer the deposit fee of 50% of the total price of such goods (including VAT thereon) which shall be paid by the Customer prior to the order being processed. 3.1 Prices quoted in all the Company catalogue's and price lists are subject to change without prior notice to the Customer. Unless otherwise agreed Goods will be charged at the price ruling at the date of each order. 4.1 Delivery dates mentioned in any acknowledgement of order or elsewhere are approximate only and are not of any contractual effect and the Company shall not be under any liability to the Customer in respect of any failure to deliver on any particular date or dates. Unless otherwise expressly agreed the Company may effect the delivery in one or more instalments. Each instalment shall be treated as a separate contract. 4.2 Delivery shall be to the Customers appointed UK premises unless otherwise agreed by the Company. Goods are dispatched by the Companies carrier, the cost of which is born by the Company. Goods are dispatched by express delivery The Customer has the right to arrange for his own carrier at his expense. 4.3 If the Customer refuses or fails to take delivery of goods tendered the Company shall be entitled to terminate the contract with immediate effect or to dispose of the goods as it may determine and the Company will retain the Customers 50% deposit and rights to the design. 5.1 For all Customers, the Company will require the balance of orders to be paid for in full prior to dispatch. Payment can be made by cheque, bank transfer or credit debit card. 5.2 Without prejudice to any other right of the Company, the Company reserves the right to withhold delivery of all Goods to the Customer if any sum owing to the Company from the Customer is overdue until such sum is paid in full together with any interest due thereon. 5.3 If Payment of goods supplied is not received when the goods are available for dispatch the Company reserves the right to charge interest on all overdue sums at the rate of 8% per annum above the basic rate of HSBC Bank Plc from the date the goods are available for dispatch until such time payment is received in full in cleared funds. 6.1 Shortages and damages in transit must be notified to us no later than 48h after receipt of the Goods. We cannot accept any claims after this time. 6.2 Goods must be signed for as damaged, parcels pilfered or broken open. Generally "not examined" will not be concise enough to claim. Non delivery of goods must be notified to us within 48hours of dispatch. Failure to adhere to these terms could jeopardise any claim with our carriers. 6.3 With the exception of goods which are covered by the 'Distance Selling Regulations' introduced in 2000 (please note any customised garment is exempt under DSR) the Company shall be under no obligation to accept returned Goods (unless such Goods breach any warranty or are found to be faulty) but may in its absolute discretion do so by prior agreement with the Customer. If the Company does so agree then the Customer must return such Goods carriage paid and provide the Company with details of the relevant invoice. Such handling charge (if imposed) must be paid forthwith upon return of the Goods and the Company's acceptance of such returned Goods shall be totally conditional. 6.4 The Company shall be under no obligation to accept returned Goods (unless such Goods breach any warranty or are found to be faulty) which are made to order or manufactured to the Customers specification. 6.5 In accordance with the 'Distance Selling Regulations 2000' the Company will fully refund the cost of any retail item purchased through its web site including the initial delivery charge if the item is returned or the Company is notified of intent to return within 7 days of receipt of the goods. For the avoidance of doubt the Company will not refund the return delivery charge or accept any returns of bespoke, custom or products manufactured to a Customers own specification. The Company shall not be liable to the Customer for any inability to perform or delay in performing any of its obligations here under where such inability or delay as aforesaid is caused (directly or indirectly) by any event or circumstance beyond the Company's reasonable control including (but without limitation) any trade dispute, strike or lock-out involving its own employees or the employees of any supplier or carrier. 8.4 Subject to Clause 8.2 in the event that, notwithstanding the preceding provisions of this Clause 8, the Company is found liable for any loss or damage suffered by the Customer, that liability shall in no event exceed the amount paid by the Customer to the Company here under excluding Value Added Tax. 9.4 The Customer may resell the goods before full legal and beneficial ownership has passed to the Customer only where (a) that sale is effected in the ordinary course of business at full market price and (b) it is a sale of the Company's property on the Customers own behalf and the Customer shall deal as principal when making such a sale and (c) the Customer shall account to the Company for the proceeds of the sale and shall keep all such proceeds separate from any of the Customer's or any third party, money or property. 10.3 The Company shall be entitled to dispatch goods comprised in an order by one or more instalments and to demand payment in respect of each such instalment. If at any time Goods remain un- dispatched the Company shall be entitled by notice in writing to cancel the remainder of the order and neither party shall be under any obligation to the other in respect thereof following such cancellation. 10.4 No variation or addition, to the Conditions will be recognized by the Company unless accepted and confirmed by the Company in writing. 10.5 The Company shall include its Manufacturer brand logos (Castelli Scorpion, Castelli Swing Tags, Castelli Identification and care labels) on all manufactured garments. 11.2 The customer acknowledges that we are not the manufacturer of the goods and that the manufacturer is under no obligation to continue to manufacture any of them. The manufacturer is entitled to make any alterations to the specification at any time without prior notice.